The star nosed mole is a small mammal with brown or grey fur, a round body, and large front paws with long claws. Most notably, it has a pink, fleshy, hideous, nose with sea anemone-esque tendrils coming off of it. When I was a kid, I thought it’s nose was it’s whole face, because it’s dark eyes blend in with its fur. So I thought it was a terrible monster with a tiny face and huge hands. Where is it? What it do? This Hollywood Walk of Face can be found in northeastern north america as far north as Canada just below the arctic circle. It prefers wet lowlands, with soft soil and plenty of tasty insects, worms, mollusks, amphibians, and fish to feast upon. It focuses on constantly eating smaller prey in large quantities. Though they prefer areas near water, they can be found in dry meadows as well. It spends a lot of it’s time underwater, digging for ground grub. But it’s also an adept swimmer and it’s pretty good at finding food underwater, despite being almost completely blind. Moles have one litter of pups a year, in late spring. They may have a second litter if their first one wasn’t cool enough. Babies are born hairless, blind, deaf, and anosmic which is the equivalent word for someone who can’t smell. Though their lack of senses are because their orifices are sealed before opening 14 days after birth. Newborn pups are a gram and a half and about two inches long and make tasty snacks for the mole’s main predators which are foxes, weasels, minks, badgers, skunks, cats, and every bird of prey in the northeast. It stinks to be both small and delicious. 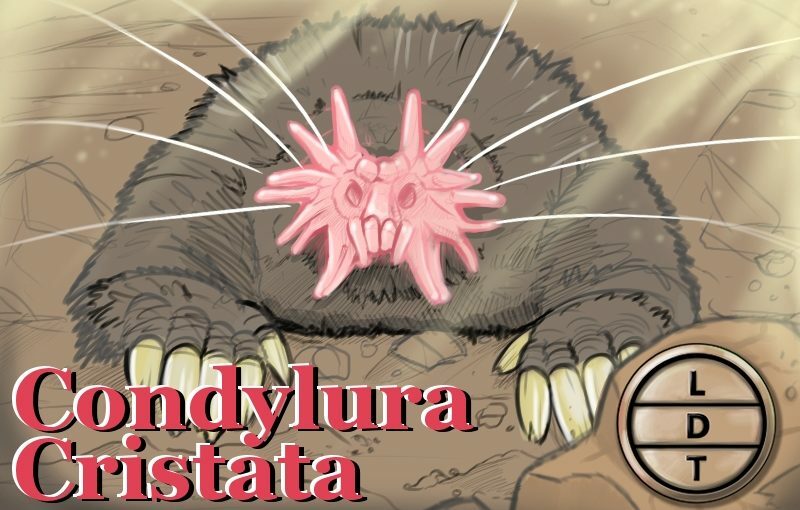 The star-nosed mole’s incredibly sensitive nose may be promising to scientists. The mole’s ability to detect seismic waves may mean that it can potentially detect earthquakes and tremors early. If we learn to make instruments that mimic the mole’s nose, we might be able to get ahead of earthquakes. The mole also has specific molecules in it’s nose that are really good at turning touch singlans into electrical signals in the brain. Humans also have these molecules and a better understanding of them may lead to better treatments for pain.